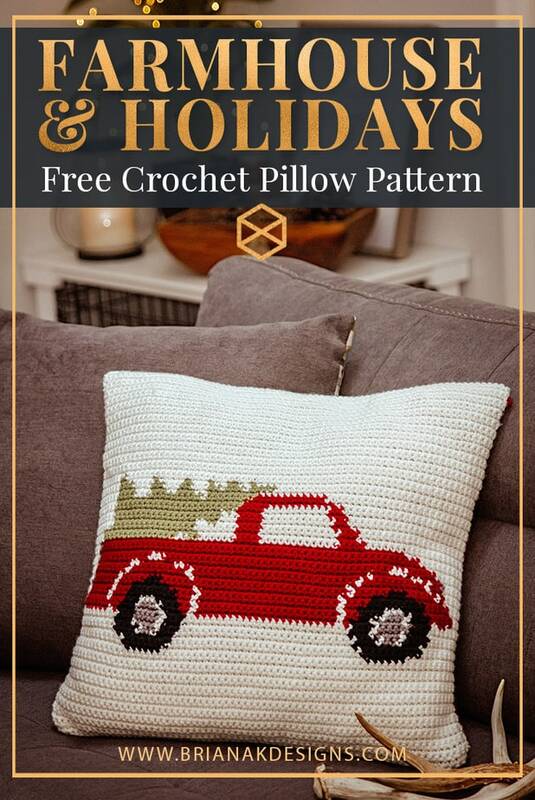 Looking for the Knit Farmhouse Truck Pillow Cover? Click HERE. Don’t you just love the iconic holiday decor? 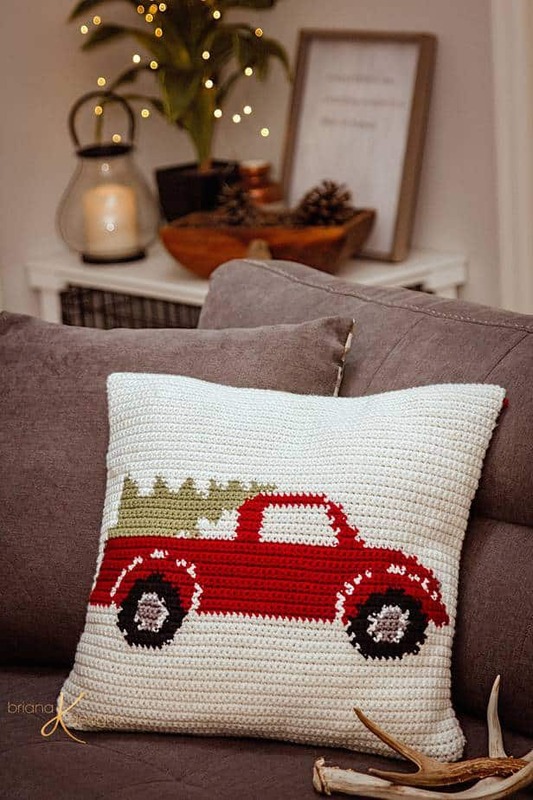 Who can resist a farmhouse style pillow cheerily displayed on the sofa. It just gives off all the holiday smile feel goods. One of my favorite holiday traditions is decorating sugar cookies. Especially now that I have little ones there is something magical about the smells of sugar, sprinkles & love in the room. One of my boys favorite cookie cutters is the truck. It’s not only fun to eat but to also play with. So the second I had this pillow whipped up they were so excited to have it on the couch. Holiday decor can bring a house warmth and holiday cheer. I hope you really enjoy not only working up this pattern but adding beautiful hand made decor to your home. I love being able to bring you awesome crochet content, will you please help keep this possible? Pinning this post, sharing with friends, and favoriting on Ravelry is a great way to say thanks. Are you ready to jump right in? 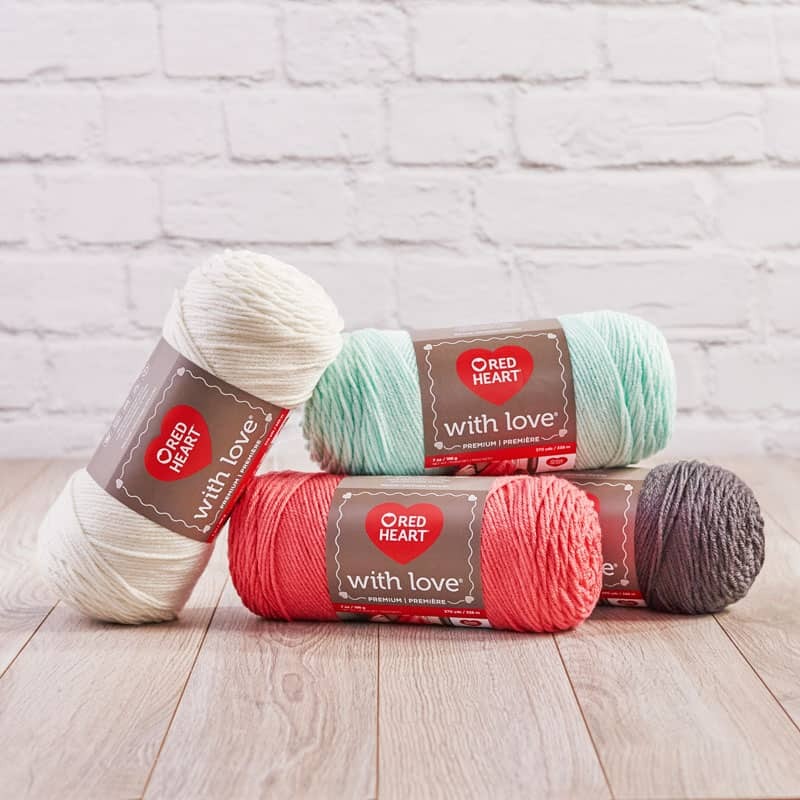 Before you get started take a moment to jump on over to this post to not only learn about the different ways to do crochet colorwork, but also for a freebie! The printable Sheep Yarn Bobbins are super helpful and also cute. You can even cut them out on a cutting machine! Crochet Hook 5 mm (H), I highly recommend Furls Odyssey (affiliate link) or a Tulip Rose Crochet Hook (link below). I love both of these. Sheep Yarn Bobbins– Check out my post to the FREE printable! 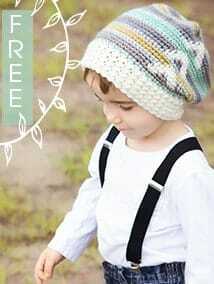 This pattern is worked in rows and in two pieces. The front panel will also work a button hole flap to secure the top of the crochet pillow. The front and the back panels will be slip stitched together once completed. After the end of each row turn and ch 1. The ch 1 does not count as a stitch. 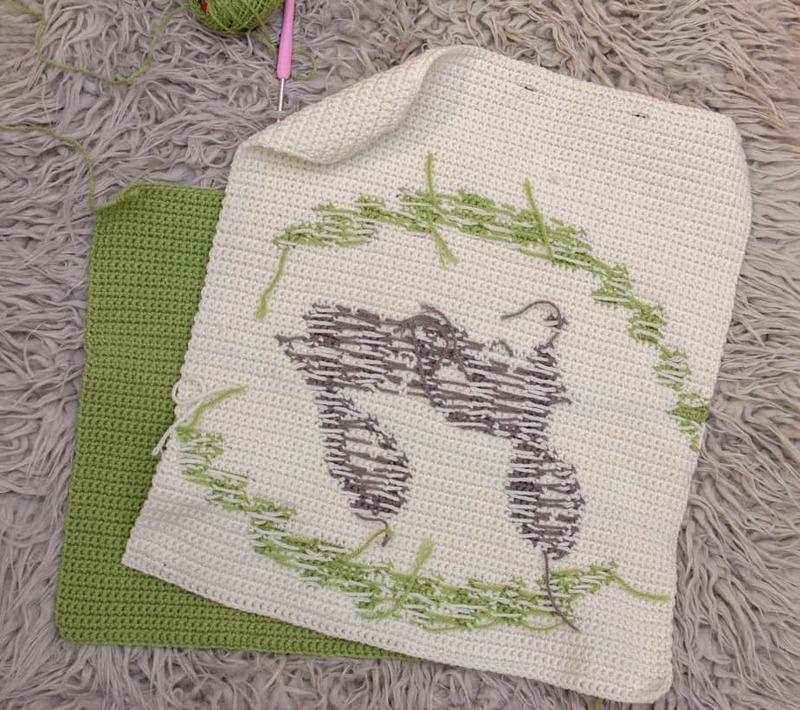 Since there is a wrong side and a right side to the pillow panels, I used a combination of intarsia and carrying yarn across the back for the color work. Experiment and see what works best for you. To begin chain 73 and start the first row in the second chain from hook. -Continue to sc crochet 15 more rows in white. 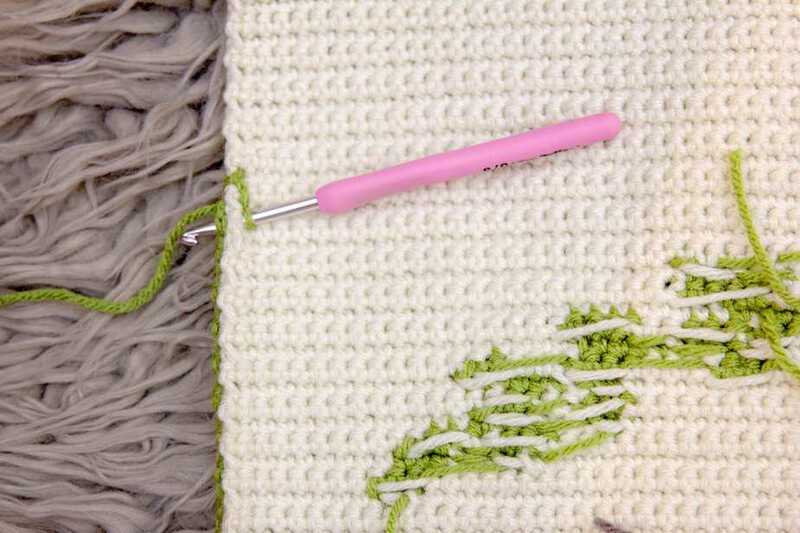 -Continue to singe crochet 3 more rows with white. -Fasten off and weave in ends. –To begin chain 73 and start the first row in the second chain from hook. Place the front and back panels together with wrong sides facing. 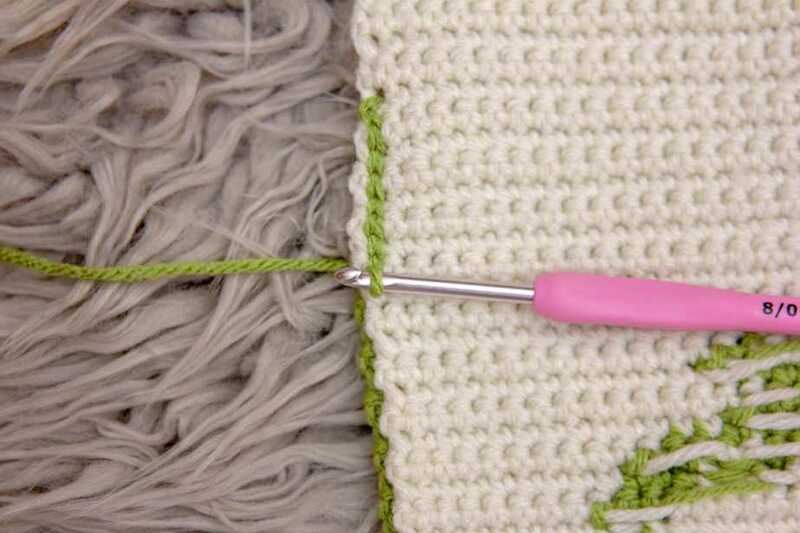 Using either green or white yarn, slip stitch from top of one side of pillow (where the panels meet, not over the flap), around the bottom, and up the other side. 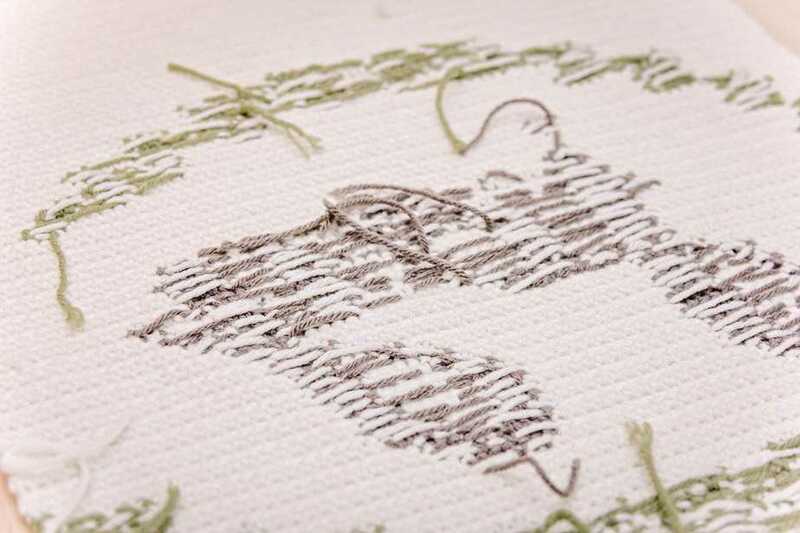 I found by slip stitching with a tight tension really makes some crisp edges, but you do not want puckering. Fasten off and weave in ends. Flip pillow so the right side is facing out and the seams are on the inside. With the back panel facing, fold front panel down over the top of the back panel and with stitch markers mark the row where each button will be placed. Using a yarn needle and green yarn, sew each button in place. Place a 18x18 pillow inside the cover and enjoy! Thank you. I really like this pillow. Where did you get your wooden tree buttons at? I love your pattern! I love, love, love this one. Mine is almost finished. Will you PLEASE create another one to match? 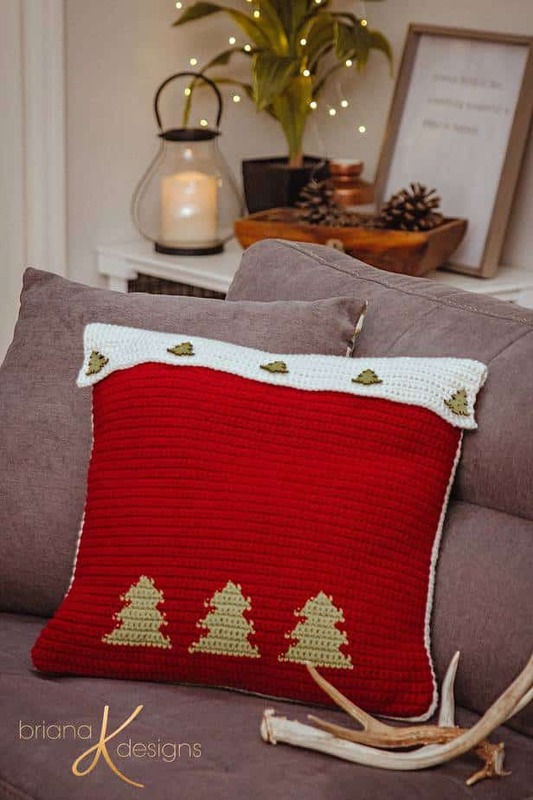 just found this,I love it,am going to give it a try,thank you soooo much for this pattern,and mostly for the written part also !!!! My gauge is too big even though I went down a hook size. My pillow would be 22 inches wide. 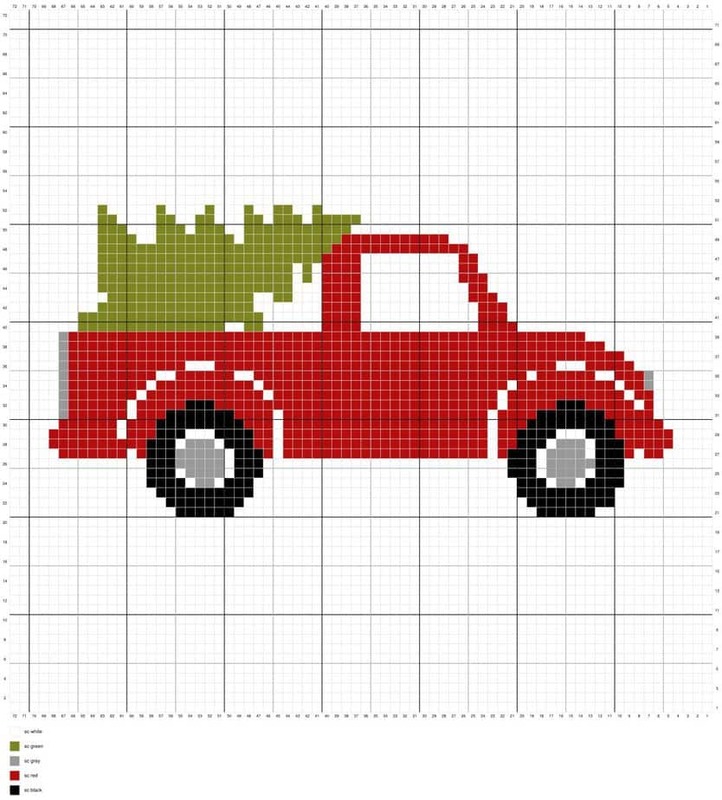 I would love to make this, but I don’t know what to do to get the right gauge. Any suggestions?